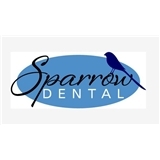 Sparrow Dental (Chicago) - Book Appointment Online! Dr. Patel was very nice and really informative on everything my first visit was the best dentist visit I have ever had. Even the dental assistant was Amazing. I think I l’ve found my new home.